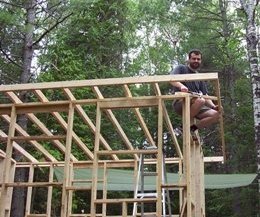 How to build a Small Cabin - construction tips and other resources. 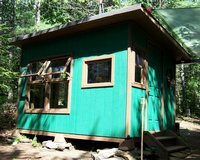 When I started to build my small cabin I searched for various bits of information, but could not find a one concise, clear and complete guide on how to build a small cabin or a small cottage using my own skills and resources. It took some time, but building my own cabin was quite enjoying process and extremely rewarding experience. 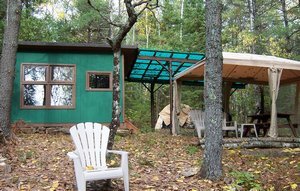 At the end I decided to build a website about it - A complete 'do-it-yourself' guide on how to plan, build and enjoy your small cabin in the wilderness -- in simple terms. There you will find information on cabin construction, building tips, off-grid living, solar power system, water collection, etc.